If you send a picture or a drawing, I can make any peghead shape you want. 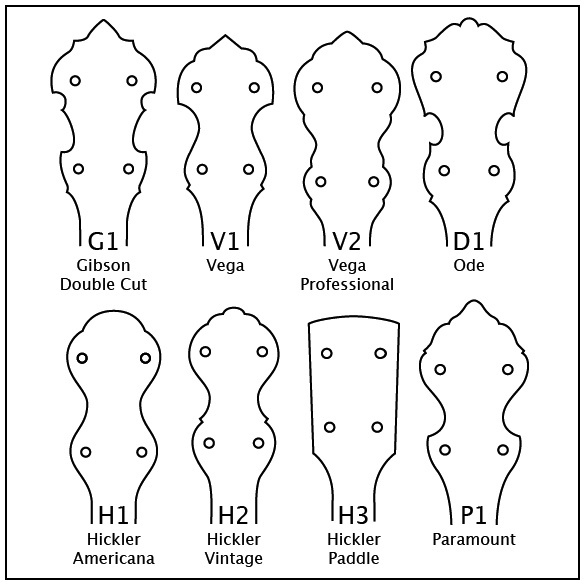 I already have templates for the following peghead shapes. Scroll down to fill out the specification form.